House/ Apartment lockout services 24/7. Needless to say, hiring the services of a residential locksmith can be very beneficial for you and your family under all circumstances. Custom made keys and locks, increased safety and affordable rates are just among the many appealing benefits that you can get to enjoy when you hire a professional residential locksmith. Due to all these reasons, it is highly advised that you choose and hire only the most reliable residential locksmith to look after your home locking systems. 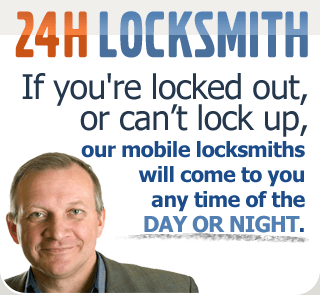 A locksmith is a specialist that can access all types of keys and locks for both residences and businesses. It means that they have the knowledge and skills needed to install locks for your home or business and they can also reprogram responder keys for your cars and other vehicles. These experts have undergone the necessary education and training that allows them to deliver exemplary services to every client. Residential locksmiths, in particular, are those locksmiths that handle and address locksmith issues in residential homes. They have long years of experience of helping homeowners in solving their locksmith issues to ensure that they houses remain safe and secure all the time.